Mead Colorado is about half way between Denver and the Wyoming border. Mead sees light traffic, primarily during harvests. In Mead there are some interesting rail cars parked on one of the sidings. Some have been there for a number of years and some are new. There also is a steam engine that appears to be going through some restoration. There has been a lot of paint done but the condition of the interior is unknown. A coach from the Santa Fe Southern at Mead. 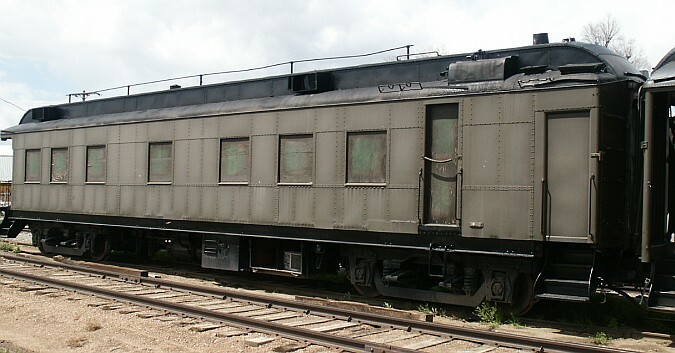 The line up of coach cars in Mead. 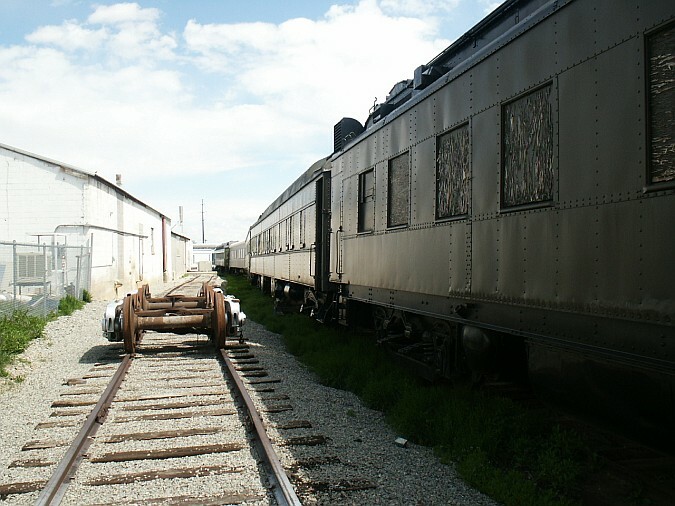 A pair of trucks sits next to some partially restored coaches. Colorado Wyoming caboose at Mead. From what I heard this is paint scheme is actually on the former GN X581/BN 968137.